Welcome to our website. 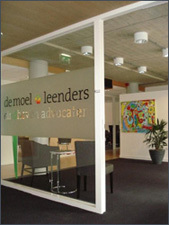 We are a young and dynamic law firm with a focus on the City of Eindhoven. We guarantee high standard and effective legal services. Our approach is determined, professional and qualified. Our firm is innovative and modern. For example, we have an advanced digital file system, which is online accessible to our clients. This site provides information of our fees and services. If you would like to receive more information or would like to schedule a meeting with one of our attorneys, please contact us by phone or e-mail.